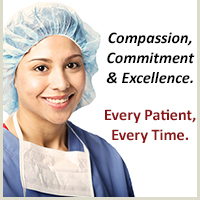 Hampton Regional Medical Center: Careers at HRMC. Hampton Regional Medical Center is a dynamic, growing organization and we are always searching for exceptional employees to join our team. Click here for a list of job openings currently available at HRMC. If you are an extraordinary individual with expertise and talent, we encourage you to fill out our online application, download and complete a printed application, or call and discuss your career interests. Fax your application to 803-943-1257. Please contact us at (803)943-2771 or send an email to Lynn Bowers, Director of Human Resources. Post by Hampton Regional Medical Center.